Are you thinking about planning a trip to Australia? You are most likely feeling overwhelmed with your options of places to go and things to see. I was fortunate to spend three years there; but what if you only have a few weeks? What are the ‘MUST sees’ and ‘MUST dos’? Approximately the size of Edmonton, Perth is a laid back city that is not as fast-paced as Sydney or Melbourne. 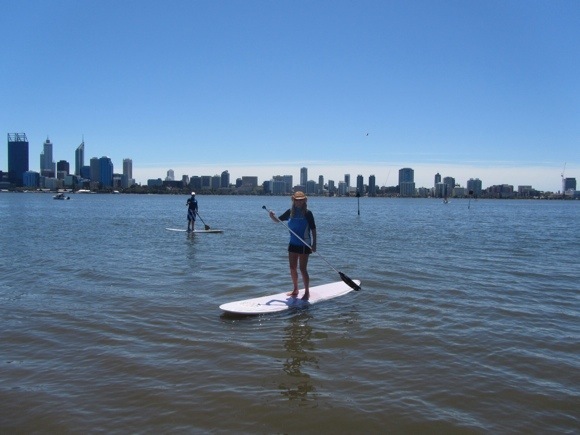 If you prefer the nightlife and big city atmosphere then Perth may not be for you; however if you prefer nature, beautiful beaches and parks then Perth cannot be missed. MUST dos in Perth include: a walk around the Swan River at dawn, a cold beer at the Ocean Beach Hotel (OBH) while watching the sun set over the ocean, a swim at Cottesloe or City Beach, an afternoon at the Freemantle Markets, and a ferry ride over to Rottnest Island. 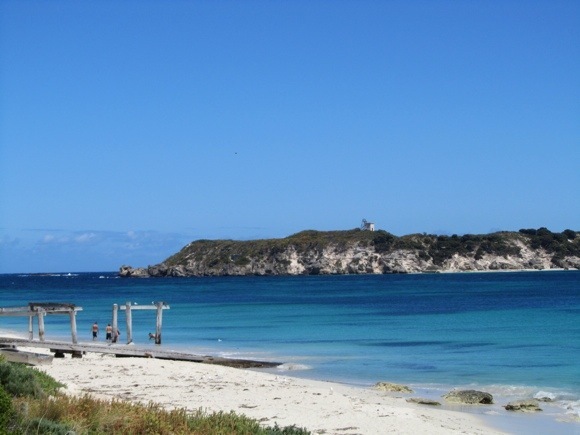 Rottnest Island is paradise on earth; cars are prohibited so rent a bike to sight-see, swim and snorkel. It is also home to the furry critter called the Quokka! 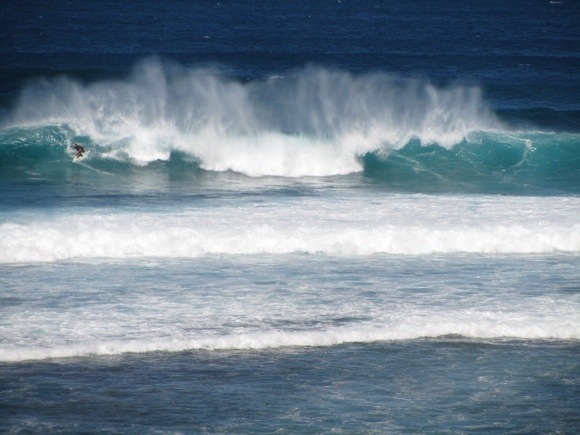 Five hours south of Perth, Margs hosts an annual world-renowned surfing competition. Margs is also home to many fine wineries nestled in the countryside. A perfect day in Margs would consist of a morning surf, an afternoon of wine tasting, and an outdoor movie at the Moonlight Cinema. Moonlight Cinemas are amazing as you can bring your own food and drinks (including alcohol) while you sit in a beanbag and watch a movie on the big screen! Situated on the top of the east coast of Australia you will find a small town called Cairns, which is populated mostly by backpackers and divers. The town itself is nothing spectacular, however it is the gateway to Cape Tribulation, the Daintree Rainforest and Port Douglas, which are all amazing day trip destinations. Many famous actors and actresses own homes in Port Douglas and Cape Tribulation, and Daintree are home to the rainforest. 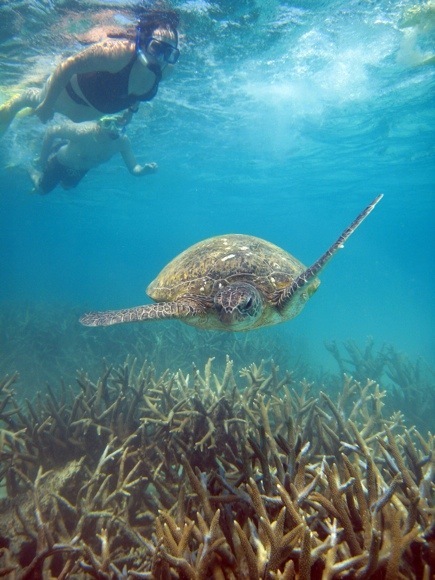 Close proximity to the Great Barrier Reef, Cairns is a hot spot for scuba diving and snorkeling. Obtain your scuba diving certification in Cairns by attending a 5-day course where you experience 4 dives on the Great Barrier Reef – you won’t regret it! Located on the east coast south of Cairns, there are many tour packages available for both of these locations. I highly recommend the overnight camping tour of Fraser Island and the two-night stay on a boat in the Whitsunday Islands. Fraser Island hosts Lake Mackenzie, where you can swim in pure rain water and feel like you are bathing in silk! There is also a 75-mile beach, a shipwreck and a helicopter tour to be enjoyed. 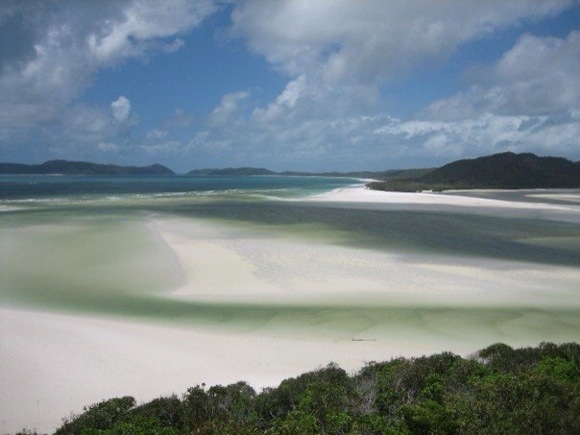 The Whitsunday Islands are nearby and are only accessible by boat. Postcard-like views and snorkeling will be like nothing you have ever experienced. If you don’t like to be crammed in tight sleeping quarters for two nights in the middle of the ocean you will want to spend the extra money to stay on a catamaran rather than a sailboat. From Darwin there is a tour that you can take to visit all three of these locations. In Litchfield you can swim at the Bewley Holes and explore HUGE termite mounds that look like pinnacles throughout the land. The boat cruise at Mary River allows you to see many of Australia’s wildlife and critters including snakes, crocodiles, and birds. The crocodiles come within a few feet of the boat! 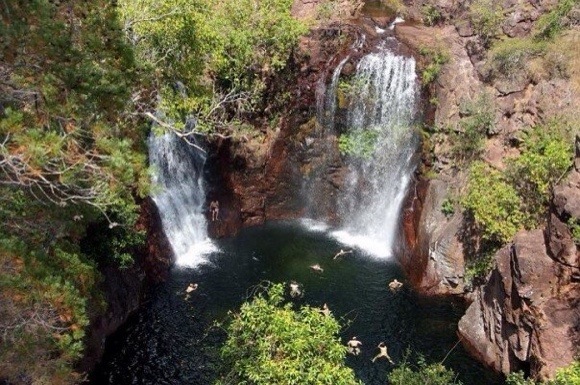 In Kakadu there are plunge pools to bathe in and aboriginal rock art to admire. This tour is a definite MUST see! There are so many beautiful places in Australia, however if you only have time to focus on one area I would highly recommend Western Australia. Whether you choose to travel north or south of Perth you cannot lose. The weather is much better in the west and the beaches are whiter, softer and cleaner. Don’t forget to take in a “Sunday Session” at an ocean pub, where you can enjoy live music every Sunday afternoon! 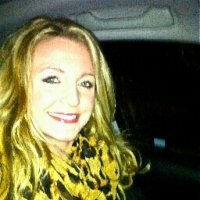 You forgot to mention a must do – trying to cycle in 40 degrees…..